Of course, everyone looks up to the royals in some way, even if they don’t necessarily admit it. They dress well, their lives seem to be perfect from the outside, they probably eat like kings and queens too – and for some reason they always look so calm and relaxed. Surely there must be a secret to their tranquil demeanor? It can’t just be the fact that they live pretty comfortable lives. They’re running a nation; they’re attending event after event, the press is always on their back, and there are an incredible number of rules they need to follow on a daily basis! This can’t be relaxing, surely? Well, that’s why the royals jet off to faraway lands to break away from the stresses of daily life – and it looks like it’s working! While it’s likely they spend most of their time on luxury private island resorts – because this just seems like the royal thing to do – we’re pretty sure there are plenty of other ways they de-stress, and it may just be a smart idea following in their footsteps. This is probably the number one way to shake off your stress – and it probably features on the royals’ list too! They probably have an in-house spa in their home with therapists at their beck and call, but if you don’t have this luxury, settle for any relaxing, tranquil spa in your area – and book it for the entire day! There couldn’t be anything more relaxing than being pampered for six hours straight; and walking around in a gown and slippers without feeling guilty – seems awfully royal to me. Find a hobby – perhaps polo? 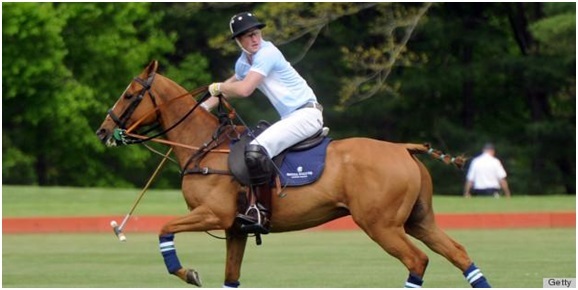 The royals have fancy hobbies, you know, polo and the likes. And don’t get me wrong, you could explore this hobby/sport too. You are just as fancy as they are, and you should keep telling yourself that! But for those who would like to find better alternatives; perhaps explore hobbies that celebrate your interests. Perhaps it’s art, or hiking; photography or interior decorating, whatever the case may be. And don’t be afraid of not being good enough – that’s what hobbies are about – you give it a shot because you love it, not because you may be the next Picasso. Investing your time in a hobby you enjoy is a sure-fire way of destressing, and the great thing is that you’re investing in yourself at the same time. 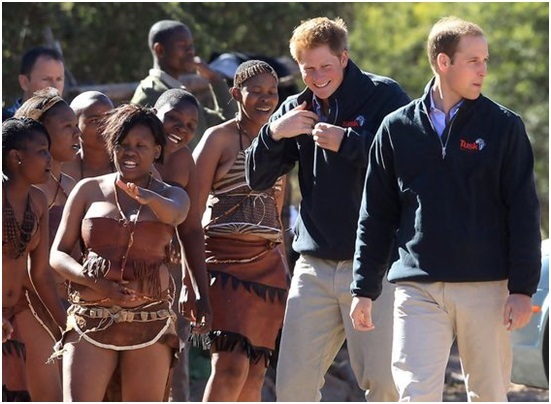 As you may already know, the royals – especially Prince William and Prince Harry absolutely love Africa. Prince William and Duchess of Cambridge, Kate Middleton, spent their honeymoon in Africa, while Prince Harry often frequents Botswana. He has said several times that the country holds a very special place in his heart. This is likely because of the incredible natural beauty, the warm loving people, and the fact that it’s far removed from the hustle and bustle of daily life. It’s really just you and nature. Now if that’s not relaxing then I don’t know what is. So, do yourself a favor and consider a trip to Africa! This is probably the simplest (and most cost-effective way) of de-stressing, but my oh my does it work! I can only imagine that the royals spend a great amount of time reading. It’s a great way to learn new things, expand your vocabulary, improve your general knowledge, and of course a great way of relaxing. What’s better than sitting out in the sun on a beautiful summers day; or curled up under a blanket in the winter with a good cup of tea; reading a fascinating book. Remember to pick out a book genre that you love, because settling for something just because everyone else is reading it – or because you’ll be embarrassed if someone catches a glimpse of the ‘strange’ book you’re reading, it’s only going to increase your stress! I think it’s pretty obvious that the royals eat well, and healthily. Unlike some of us, they don’t run over to the fast food establishment on their way home from work because they couldn’t bear to start cooking after such a long, tiresome day. No, they go home to home-cooked meals! But maybe there’s something to say for this. Maybe it’s time you started whipping up some healthy, hearty, home-cooked dishes! Eating well ensures you’re able to handle stress well without getting fatigued and ill, while working out allows you to let off some steam, and it also helps you to manage your stress levels. So, no more take-outs; and more workouts! Got it? Good!